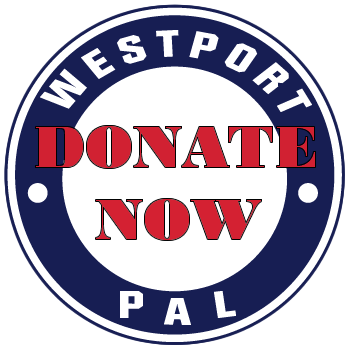 The Westport PAL is one of Westport's oldest youth Organizations. Youth Athletic Programs, College Scholarships and their support of the Westport Community. retired police officers and volunteers from our Community. At the core of the Westport PAL organization is our volunteers and our partnership with the town. That is our secret to success. the Ice Rink at Longshore, Police Chief Sam Luciano Golf Tournament, Children's Holiday Party, College Scholarships and the numerous Youth Athletic Programs which include Football, Flag Football, Cheerleading, Rugby, Boys and Girls Basketball, Wrestling, Boys and Girls Lacrosse, and Boys and Girls Track & Field. 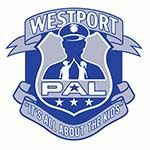 Today's Westport PAL has over 2,000 children participating in its sports programs and annually awards more than 25 College Scholarships. There are many youth programs but there is only one PAL! Westport P.A.L. is committed to improving the lives of our children and community. As a keystone to the Westport community, established in 1949. We are asking that you champion Westport P.A.L. and make a donation. increasing agility, flexibility, power, and speed. Our program is open to all boys and girls in grades 2 through 8 and at all levels of experience. sports injury and athletic training services. Training Tip I- Athletes need to fuel up properly before starting their workout or practice. Carbohydrates are the preferred fuel for exercise. 30 to 60 minutes before exercise eat something that is easily digested and carbohydrate-rich. The recommended amount of carbohydrates per hour for peak performance is 45-60 grams. Between 10-20 grams of protein is needed during workouts also for optimal performance. For exercise that is 90 minutes or longer, a larger amount of food is necessary. Training Tip 2 - Flexibility can help improve muscle performance and decrease the risk of injury. Low intensity, dynamic movements prior to engaging in a sport can help warm up the body and prepare muscles for higher intensity activities. Use a dynamic warm-up prior to play and static stretches after to increase flexibility when muscles are more elastic. it may be attributed to over-patterning. The best course of action is proper medical care and rest! phone numbers, and e-mails at any time. phone numbers, email addresses AND adding additional parent/guardian profiles to the player. 1) Click on the 'Edit My Account' tab located on the left margin of the home page. 2) Enter your e-mail address and password. (Don't know your password, just read the instructions above the data entry box. Westport PAL Policy prohibits coaches and admin personnel from making changes to member profiles. Keeping your information up to date is important. All PAL sports rely on the contact information in our database and outdated information may cause you to miss important updates. Thank you for being a part of Westport P.A.L.